If you had met Wesley Smith last year, you would have been forgiven for mistaking him as yet another young man focused only on partying and having a good time. Today, 21-year-old Smith from Idas Valley in Stellenbosch has changed his life around and works as a first assistant chef at the Wine Lounge of the well-known Delaire Graff Wine Estate. Smith made the transformation after registering for a Frail Care course at Bergzicht Training, a non-govermantal organisation (NGO) based in the Winelands which helps poor, semi- and unskilled as well as unemployed persons in the Western Cape to improve their lives by equipping them with practicall skills. He also completed an Educare and a City & Guilds’ Professional Cooking and Food and Beverage Service course at the organisation. He was able to follow the professional cooking course thanks to a donation made by Absa in 2014. 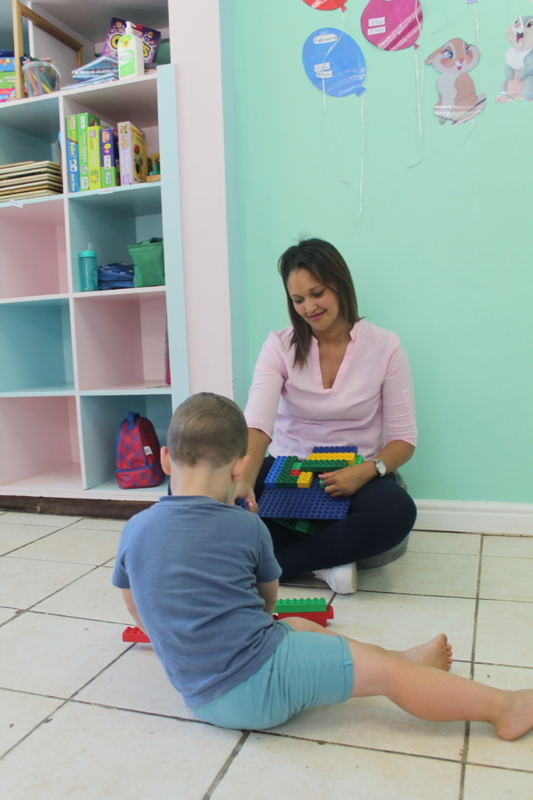 Except offering courses in Home Management, Educare, Health and Frail Care, and professional cooking, Bergzicht also provides short courses in entrepreneurship, life skills and computer training to beneficiaries. Since 1992, the NGO has trained 10 000 students of which 76% found permanent employment throught its Placement Bureau. These days, Smith makes tasty cold meats, salmon and cheese platters for hundreds of guests who visit the Delaire wine tasting venue. This is a big change from the life he used to lead before. In 2013, at the insistence of his mom, he registered at Worcester College for a mechanic course. After six months, he quit and returned home to spend most days partying with friends. People started calling him a “good for nothing”. A year later, he joined Bergzicht. “I only went to satisfy my mom. I was a very difficult student at the beginning, but I soon realised that my attitude was holding me back and slowly changed it”. Ms Ingrid Andrews, the manager of Bergzicht’s Placement Bureau. Today, Smith is well-known amongst Delaire guests for his tasty and equally attractive snacks. Smith created his own masterpieces by doing research online to gain ideas on how to improve his platters and even started searching for flowers in the estate garden to ensure the platters looked attractive. Soon his creations started generating compliments and Smith’s creativity and dedication were noticed by his managers. “They first promoted me to wine tutor, but I realised very quickly that that position was not for me. I’m a shy guy and if someone asks you about the wine or the farm’s history, you must be able to explain it to them and I am not that kind of person,” jokes Smith. 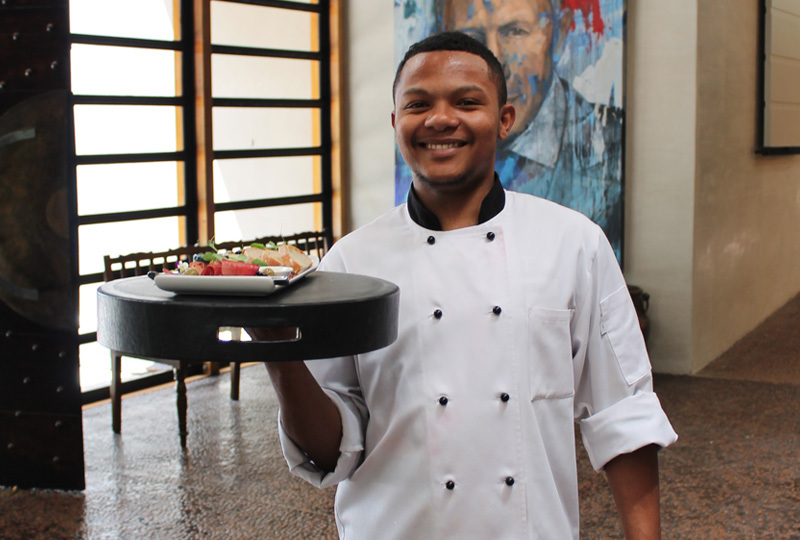 Luckily for the young man, an opportunity has arisen for him to work in the Delaire restaurant at the end of the year and to start pursuing his big dream – to become a chef. 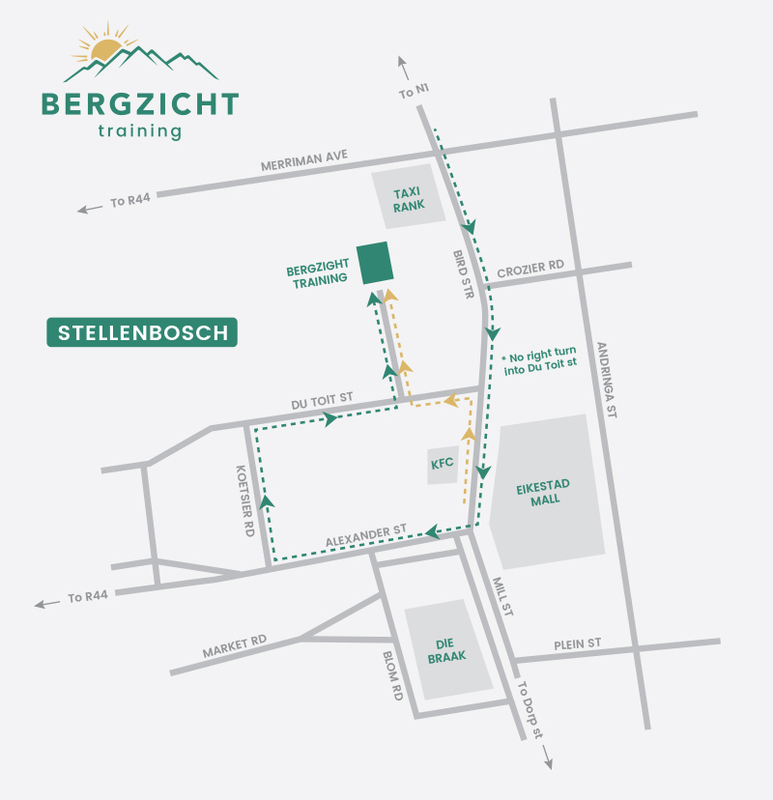 Visit www.bergzichtraining.com or www.facebook.com/bergzichttraining for more on Bergzicht’s courses.